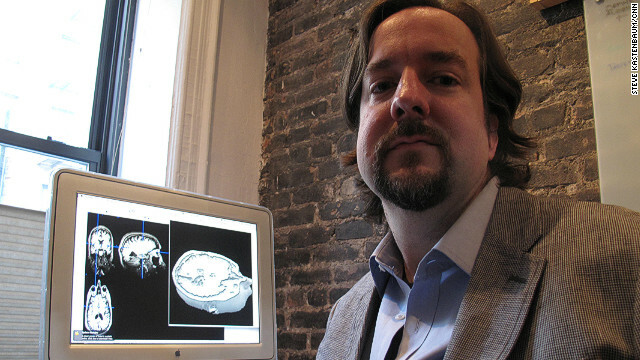 John Kirkwood at his home office in New York. A computer image of his brain on his computer screen shows where there is activity and where there is none. (CNN) – What if you lost the ability to create new memories? It happened to John Kirkwood. The 42 year old environmental engineer from New York miraculously survived a catastrophic brain injury, an aneurism, and blood clot in his head. After coming out of a coma, he no longer had vision on his left side and there was no activity in the regions of his brain responsible for recording new memories. He spent years creating work-arounds and teaching his brain to remember things in a new way. [:18] “I couldn’t understand where I was in space and time. I could not perceive what I had done in the past and I was just living in the present in an environment that I did not understand visually or through taste and smell,” said Kirkwood. I agree; I am a total stranger and I would truly appreciate getting to know more about the successful journey of this courageous man. It was soooo wonderful to hear John in this interview. Being a friend of the family and knowing John's situation from day 1, I am overwhelmed by his progress. Way to go John ! We will surely be hearing more from this amazing man.